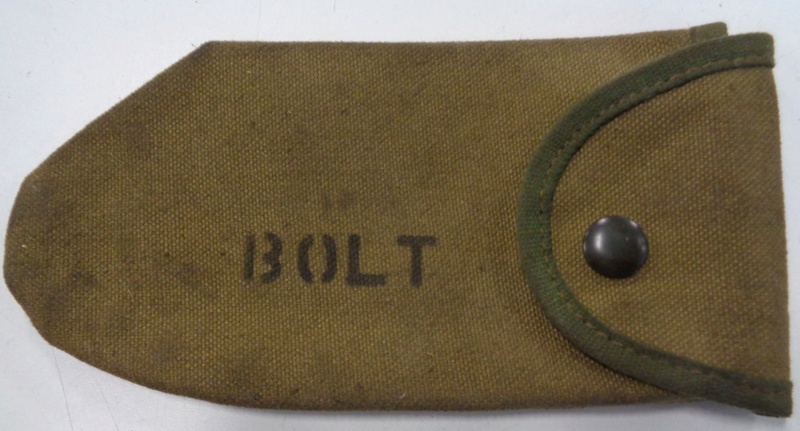 I purchased about 200 of these bolt pouches. Only 20 had the C broad arrow mark. 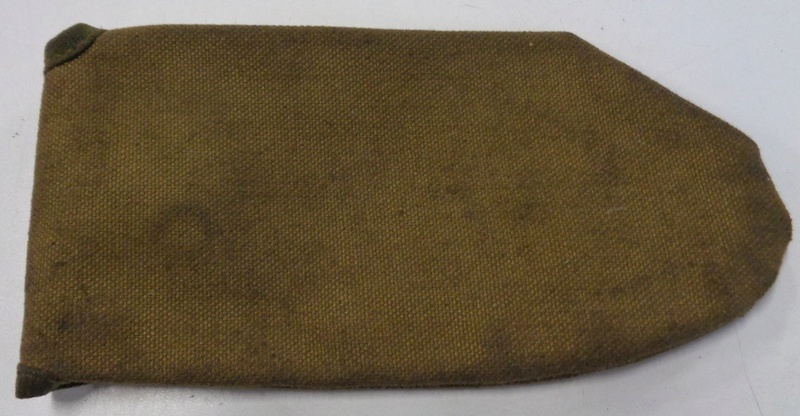 I think they were for the Browning machine gun. 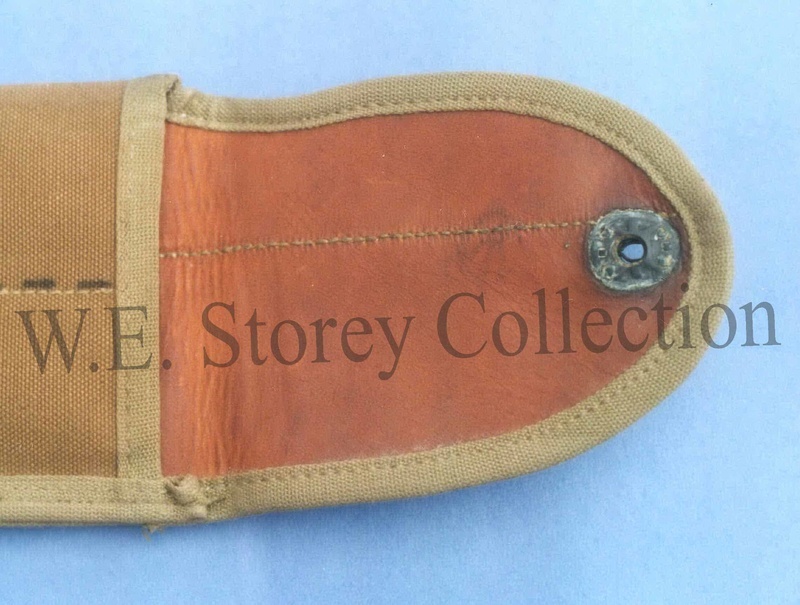 Has anyone seen them with the C broad arrow marking on them ? 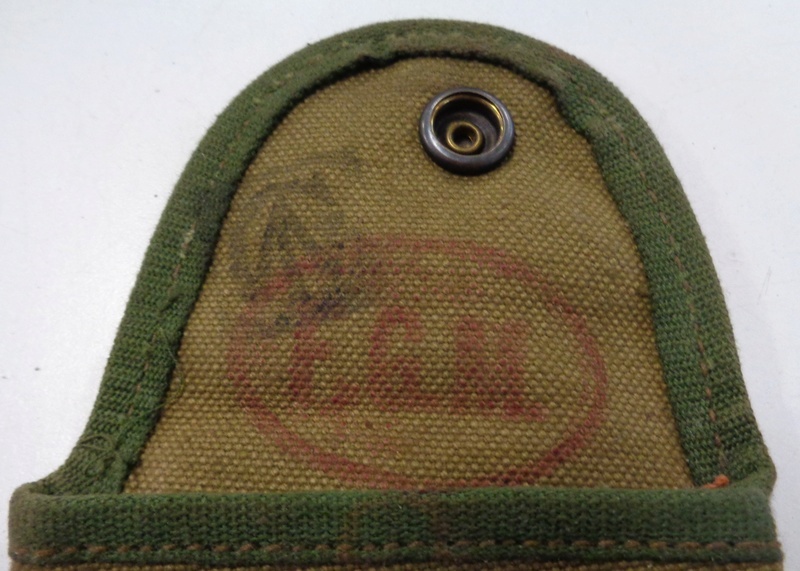 The makers mark appears to be E.G.M. 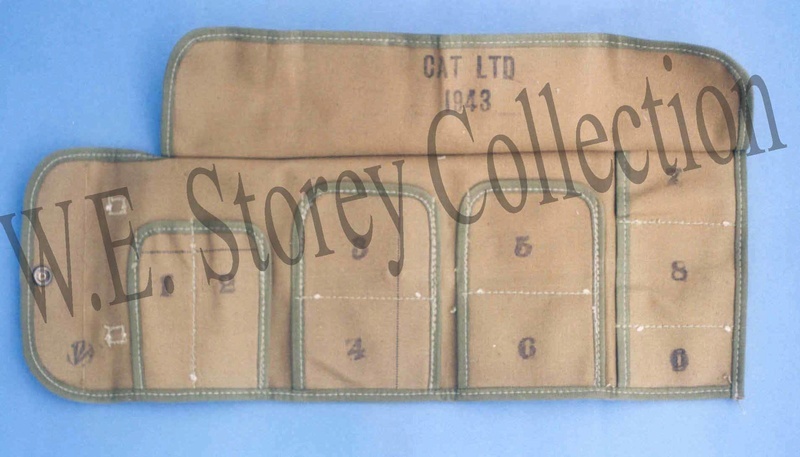 Along with the Bolt Pouch, it is possible to find many of the US manufactured webbing accoutrements for the M1919A4 .30 cal MG with 'C Broad Arrow' stamps as the SWW guns were used by Canada until the mid-1980s (as 7.62mm C5 GPMGs). Here are a few examples that I have located over the years.